For Miles Dyer, bodybuilding is all about the mind-muscle connection. 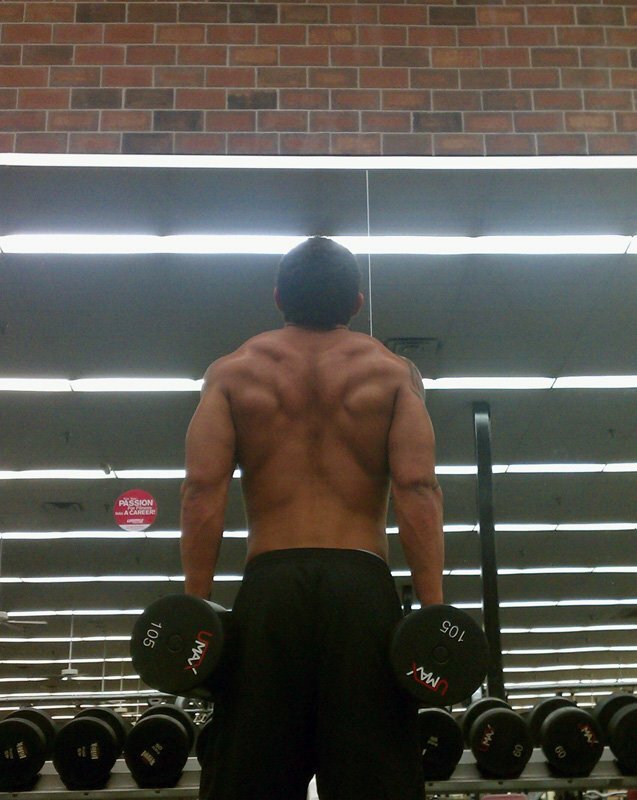 Even as a teen, he's mentally focused on lifting and competing for life. I always loved lifting when I was younger. After I turned 18 I was addicted to training, it literally just hit me that this is what I want to do with my life. I train 6 days on and 1 day off. I do 4-6 sets of every exercise and every set is until failure. Most days I hit 2 body parts except for shoulders and hamstrings. Those days are isolated. I still get very sore every time I train any muscle and the gains still increase at a solid rate. I don't do any cardio offseason as I don't hold much fat but when the season comes I'll do 30-45 minutes per day in the mornings before my meal. I either do incline walks or stair stepper. Teen Titan: Dyer's got definition for miles. I have always had trouble with putting on loads of weight. I have a lean body type so offseason I try to just eat everything and as much as possible. I eat every 3 hours with at least 50g of protein and 50-100g of carbs in every meal. I always eat gluten free. I don't take any supplements at the moment besides protein and carbs. I use Dymatize Elite and Universal's Carbo Plus. I always appreciated bodybuilding when I was younger. I loved the dedication it took. I love to picture it as an art form as most bodybuilders do, where you're creating a masterpiece for the whole world to see. It's something that you have to be passionate about and bodybuilding and passion go hand-in-hand for me. Being a bodybuilder demands your lifestyle is healthy. This is what I want to do with my life so being healthy is just a part of it. By seeing all the older bodybuilders with amazing physiques. I love the classic look with a small waist. I plan to hold that persona. After Teens, I plan to compete in Amateurs and eventually make a career out of the sport that I love. People think because of how big your muscles are that your physical strength must be outstanding. When it comes to weights, people are always thinking "physical." Every time I step into the gym I have the exact song I want on. My mind is clear and focused. Right before I do my set, my mind is ready to push my body past its limit. Bodybuilding is completely mental. If you don't have the mental capability then you don't belong. Kai Greene, Phil Heath, and Jason Huh. 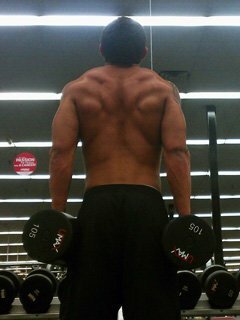 I order all my supplements from Bodybuilding.com and sometimes look through the forums from time to time.